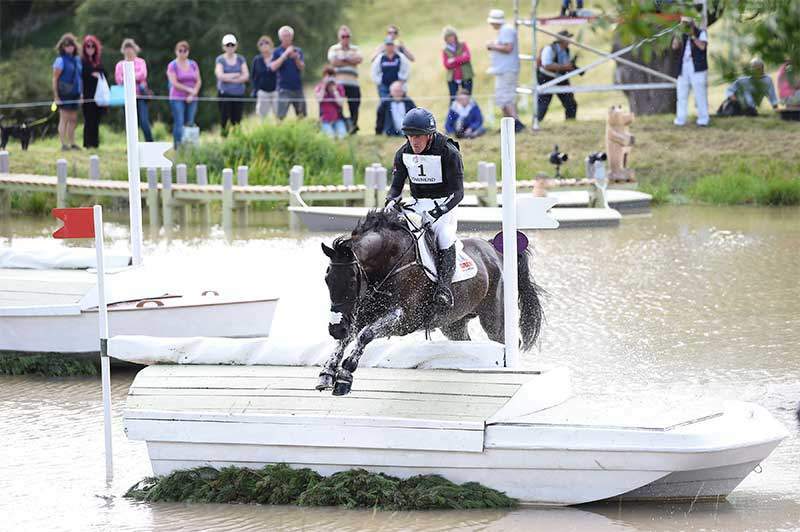 The best of Britain’s riders are heading to Gatcombe Park for the sport of eventing’s summer highlight, The Festival of British Eventing, supported by the British Equestrian Trade Association (BETA). The four championship classes hosted at The Festival including – The British Open Championship CIC3* incorporating the Event Rider Masters (ERM), The Smith & Williamson British Intermediate Championship, The Dodson & Horrell British Novice Championship – feature many Olympic, World and European medallists. The British Open Championship, which also bestows the title of British National Champion to the highest placed British rider, also includes the thrilling Event Rider Masters (ERM) competition for the second year running. Among its highly competitive entry are the two previous champions – British number one Oliver Townend (Note Worthy), and Australia’s Christopher Burton (TS Jamaimo). They will face stiff opposition from the likes of Sir Mark Todd (NZB Campino) and Pippa Funnell (Chippieh) – themselves both former winner’s of the prestigious title – and Italian Olympian Vittoria Panizzon with her top ride, the exuberant grey mare Borough Pennyz. Gemma Tattersall is another who will be exciting to watch – she rides the ex-racehorse Arctic Soul, whose speed and jumping ability makes him well suited to Gatcombe Park’s uniquely undulating cross country course. And Ireland’s Elizabeth Power and Soladoun who were the fastest of the day in this class last year – they return for another shot at the title. William Fox-Pitt,winner of a record 12 Festival of British Eventing titles over the years, is double-handed in The Smith & Williamson British Intermediate Championship with Little Fire and Oratorio II. He will have to hold off challenges from fellow British riders such as Izzy Taylor (Direct Cassino and Imprompt II), Oliver Townend – who is relying on Khoi Traveller to give him a fourth victory in this class, which represents the cream of the country’s up-and-coming horsepower – and Gemma Tattersall (Billy Senora). Zara Tindall’s horse BGS Class Affair hopes to give her a first triumph on her “home turf”. The Dodson & Horrell British Novice Championship is always an extremely hotly contested class. Oliver Townend already has four successes under his belt (2005, 2010, 2011, 2015) and has four entries – Ececheira, Menlo Park, Sweeps Crystal Cruise and Tregilder, while William Fox-Pitt is bidding for his own fourth triumph on three talented youngsters – Shannondale Percy, The Graduate and Yes I Can. But they won’t have it all their own way – Angus Smales will be keen to add a second Gatcombe title to his 2011 Smith & Williamson British Intermediate Championship success with either Eastern Gold II or ESI Pheonix, while Izzy Taylor and Harry Meade would dearly love to see their names engraved on a Gatcombe trophy. Izzy has three entered: Millstreet Mitch, Monkeying Around and Artful Trinity, while Harry relies on Red Kite. There’s a return to The Festival of British Eventing for one of the country’s most popular riders, Mary King, who won the Open title five times between 1990 and 2007, with her home-bred King Bill. It isn’t just the top professionals vying for the spoils at Gatcombe Park. For the third year, The Festival of British Eventing is holding The TopSpec Challenge for The Corinthian Cup, the British Amateur Championship. Noah Brook, the inaugural winner in 2015, is trying to become the first dual Corinithian Cup Champion, this time riding Grafenstolz Distinction. The Festival of British Eventing has a feast of top-quality horses – but in 2017 there’s one horse parading in the main arena at Gatcombe Park who really is a household name and dressage mega star in his own right- Valegro.